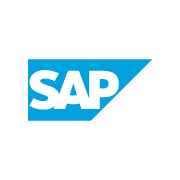 SAP is the world’s largest business software company – founded in 1972 and headquartered in Walldorf, Germany. We serve some of the most incredible customers and we always have exciting projects on the go. Our vision is to help the world run better and improve people’s lives. This is our enduring cause; our higher purpose. As market leader in enterprise application software, SAP helps companies of all sizes and industries run better. From back office to boardroom, warehouse to storefront, desktop to mobile device – SAP empowers people and organizations to work together more efficiently and use business insight more effectively to stay ahead of the competition. SAP applications and services enable more than 300,000 customers to operate profitably, adapt continuously, and grow sustainably. SAP Middle East and North Africa (MENA) is recognized as one of the fastest growing markets for SAP globally and is a key investment area for the company. Since its establishment in late 2007 SAP has rapidly expanded its operations and customer base and now has 12 offices across the region. Companies of all sizes recognize the tremendous potential for data, but many struggle turning that data into actionable insights that improve business results. The legacy approach to analytics has slowed organizations down, requiring too many specific tools used by too many uniquely skilled people, and a high software price tag. Every data worker, regardless of technical acumen, can be a curious problem solver. Allowing these workers to find and understand what information is at their disposal, and giving them the ability to analyze data from more sources and easily deliver business insights, is now reachable. 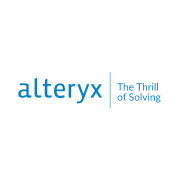 Alteryx is revolutionizing business through data science and analytics, and we empower everyone in an organization to experience the thrill of getting to the answer faster. 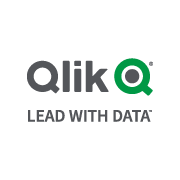 Our award-winning end-to-end platform unifies the analytic experience, enabling organizations to break data barriers. The Alteryx Platform provides the analytic flexibility that business analysts, data scientists, and IT need to discover, prep, analyze, and operationalize analytic models through a collaborative and governed platform. Every day, people deliver game-changing, career-making business outcomes with Alteryx. We have earned the trust of thousands of customers around the world, ranging from many of the world's largest and best-known brands, including Audi, Experian, Ford, McDonald's, Unilever, and Vodafone, who all want to use the power of data analytics for a competitive edge. 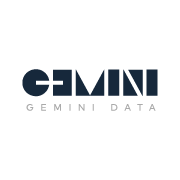 Customers like GE, Unilever, Fox, BNP Paribas, L'Oréal use Dataiku to ensure they are moving quickly and growing exponentially along with the amount of data they’re collecting. 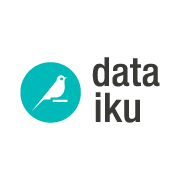 By removing roadblocks, Dataiku ensures more opportunity for business-impacting models and creative solutions, allowing teams to work faster and smarter. 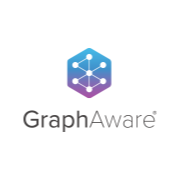 GraphAware helps organizations understand and leverage the power of highly connected data. Using graph-based cutting-edge tools and state-of-the-art techniques, we address a wide variety of Big Data use cases, such as recommendation engines, fraud detection systems, impact and network analysis tools, relevant search engines, intelligence and law enforcement platforms, knowledge graphs, chatbots, voice assistants, and much more. We are experts in graph databases, graph processing frameworks, search engines, machine learning, and natural language processing. 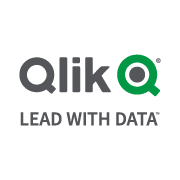 We are the regional distributor of Neo4j, the #1 platform for connected data. Zoho respects user privacy and does not have an ad-revenue model in any part of its business, including its free products. More than 45 million users around the world, across hundreds of thousands of companies, rely on Zoho every day to run their businesses, including Zoho itself. 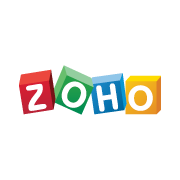 Zoho Corporation is privately held and profitable with more than 8,000 employees. Zoho is headquartered in Pleasanton, California, with international headquarters in Chennai, India. Additional offices are in Austin (US), Utrecht (The Netherlands), Singapore, Dubai (UAE), Yokohama (Japan), and Beijing (China). Protiviti is a global consulting firm that delivers deep expertise, objective insights, a tailored approach and unparalleled collaboration to help leaders confidently face the future. Through its network of more than 75 offices in over 27 countries, Protiviti and its independently owned member firms provide clients with consulting solutions in finance, technology, operations, data analytics, governance, risk and internal audit. Protiviti has served more than 60 percent of Fortune 1000® and 35 percent of Fortune Global 500® companies. The firm also works with smaller, growing companies, including those looking to go public, as well as with government agencies. In the MENA Region, Protiviti’s member firm is a leading provider of business consulting, internal audit, risk management, technology, forensic and fraud investigation, human capital, managed business services, data analytics, digital transformation, and transaction services. Protiviti member firms are separate and independent legal entities, are not agents of other firms in the Protiviti network, and have no authority to obligate or bind other firms in the Protiviti network. 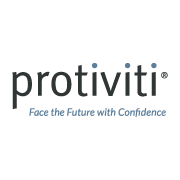 Protiviti is a wholly owned subsidiary of Robert Half (NYSE: RHI). Founded in 1948, Robert Half is a member of the S&P 500 index. 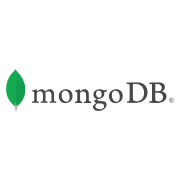 MongoDB is free and open-source. Versions released prior to October 16, 2018 are published under the AGPL. All versions released after October 16, 2018, including patch fixes for prior versions, are published under the Server Side Public. 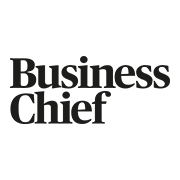 Artefact (formerly NetBooster group) is a digital marketing, data consultancy and data science and AI agency. Solutions focus on building big data ecosystems and applying them for increased performance of marketing activities. 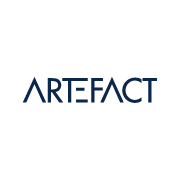 Artefact has offices across 17 countries (including one in Dubai) and serves more than 600 clients including AccorHotels, Orange, Carrefour and Emirates. Our Services: Marketing (Media Activation & Creation); Consulting (Strategic Consulting & Data Science); Technologies (Artificial Intelligence & Big Data Ecosystem). Our Clients: Emirates Airlines, Dubai Tourism, Dubai Parks and Resorts, Damac Properties, Carrefour, Nestle, Danone, Monoprix, Allianz, AirFrance, Accor Hotels, Hertz, Audi, Samsung, Greenpeace. We deliver simple, easy-to-consume data stories from structured and unstructured data. Engaging with us creates bandwidth for our clients, freeing them up to do developmental work that is core to their job. Rochester Institute of Technology Dubai, a highly technologically-focused American university, is located in and sponsored by Dubai Silicon Oasis. Established in 2008, RIT University in Dubai is accredited both in the United States and by the UAE Ministry of Education - Higher Education Affairs. 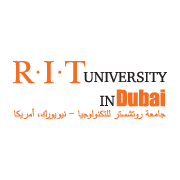 RIT Dubai is a branch university of RIT New York. RIT Dubai offers internationally recognized American degrees in Business, Engineering, and Computing, both for Bachelor’s and Master’s programs. Students can also study at RIT’s global campuses in New York, Croatia, and Kosovo, and are guaranteed to earn relevant work experience while studying through RIT’s nationally-unique co-op program. A graduate of RIT Dubai has the same benefits of RIT New York and the graduates’ degree come from the main campus at Rochester, NY. RIT University in Dubai offers Masters degrees that caters to the future needs of the UAE. RIT has recently developed new Masters programs in Data Analytics and City Science in collaboration with Smart Dubai. RIT also provides Diplomas in Corporate Happiness and Innovation. All Business degrees at RIT University in Dubai are accredited by Association to Advance Collegiate Schools of Business International (AACSB) and all engineering degrees are accredited by Board of Engineering and Technology (ABET). RIT is also licensed by the Knowledge and Human Development Authority (KHDA). RIT Dubai is an educational partner of Dubai Police, FAZAA, DAFZA, DEWA, RTA, Dubai Government Workshop, DGWorld, Smart Dubai, and Silicon Oasis Authority. RIT welcomes more than 70 nationalities on campus and graduates of RIT Dubai are currently working in leading organizations like Siemens, OTIS, Carrier, General Motors, Dubai Police, Fractal Systems, DEWA, RTA, Ministry of Defense, Musanada, Dubai Health Authority, Etisalat. 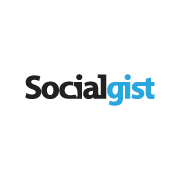 Socialgist is a social media content aggregation and provisioning service. No analysis, only raw data. We provide access to a multilingual, fully indexed warehouse of global, public, conversational content from message boards/forums, social networks, blogs, microblogs, consumer reviews, video comments and online news. Socialgist is the official exclusive commercial provider of Sina Weibo, Vkontakte & Reddit, while supplying unfettered access to many other social platforms. It’s being updated every day, with hundreds of millions of new conversations covering 190 countries in more than 40 languages. 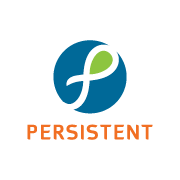 Access is available through a virtually instant search based RESTful API, filtered or full streaming feeds of data. Current users include: Social media monitoring tools, major corporations, governments, analytic providers, business intelligence and knowledge management technologies. They use this data to identify audience segments & trends, key influencers, gauge sentiment about their brand, products, and competition. Advanced use cases combine these data sets with operational and consumer data for next-level insights. 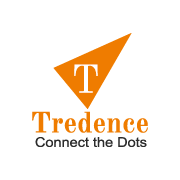 Tredence is the first analytics services company focused on the last mile adoption of AI/ML, using in-house digital accelerators. Our capabilities range from Data Visualization, Data Management to Advanced analytics, Big Data and Machine Learning. 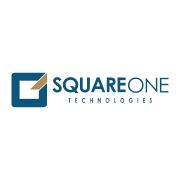 Our uniqueness is in bringing the right mix of technology and business analytics to create white-box solutions that are typically transitioned to our clients at the end of the engagement in a sustainable way. We do this cost effectively using a global execution model leveraging our clients' existing technology and data assets. We also come in with some strong IP and pre-built solutions/ frameworks in mobile, data mining and BI. 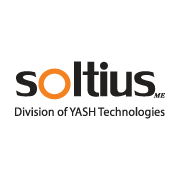 Headquartered in Dubai, Soltius ME (An Yash Technologies company) is one of the largest IT consulting and services company in the region, with marquee customers across GCC and Africa. As a leading Digital Transformation specialist, its portfolio spans architecting and solutioning across business applications (including SAP), infrastructure, cloud, and digital platform services. 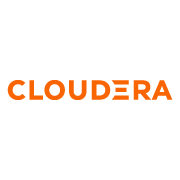 It works with Fortune 500 organizations globally and large GCC conglomerates-corporations in the region, and supports their big data-advanced analytics and RPA initiatives. 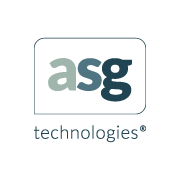 It offers specialized frameworks and solutions to the Oil and Gas, Healthcare, Process Manufacturing, and Retail verticals. 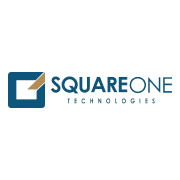 SquareOne by virtue of its deep understanding of Content Management and Business Intelligence practices helps organizations manage, secure and make sense of their content and data in creative ways. We empower businesses grow faster, minimize costs, reduce information governance and security risks by improving business insight & efficiencies across industry verticals. Step inside our world and you will find one brilliant mind after another working together in spirit of making your business more efficient and profitable. With offices in nine major cities across GCC and India and a network of partners, we serve the region as an Enterprise Information Management company as well as value added distributor for emerging technologies within the ICT domain. 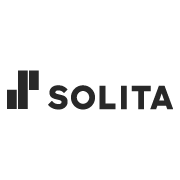 Solita is a digital transformation company driven by data and human insight. We create culture, services and tech solutions that help us reinvent businesses and society for the better. 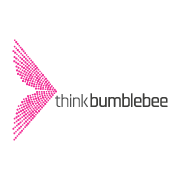 Our services range from strategic consulting to service design, digital development, data, AI & analytics and managed cloud services. The net sales of the company amount to EUR 91 million in 2018. 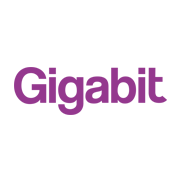 Established in 1996, Solita employs 750 digital business specialists in Finland, Sweden, Estonia and Germany. 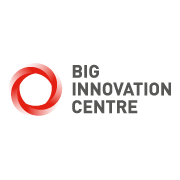 Big Innovation Centre is building global innovation and investment hubs that make the world more purposeful and our cities happier places - through the enormous potential of future-tech, creativity and innovation. Great companies and public policy committed to open innovation are the foundations for economic success - we create more of them in London, Riyadh and Dubai. 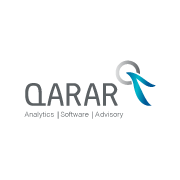 Qarar is the region’s leading Decision Analytics company specialized in offering consulting, decision analytics and software technology to deliver tailor-made customer management and process automation solutions. Headquartered in Dubai and serving customers across the Middle East and North Africa, Qarar helps its clients solve business challenges and achieve sustainable business outcomes. We achieve this across the customer lifecycle by employing the right mix of predictive analytics, and market experience-based advisory and decision technologies. Qarar’s expertise spans Strategy, Pricing, Credit Risk Management, Marketing and Sales Analytics. For 20+ years our team has helped a diverse mix of enterprises improve their business performance and reinvent their business processes to respond quickly and effectively during fast-changing times. We’ve striven to be a guiding light, helping businesses implement next generation digital processes, improve Enterprise Performance, drive enterprise automation and leverage the power of data through Business Analytics. Count on us for all the support you need to get the most from your Enterprise Performance Management, Business Intelligence & Analytics, Customer Relationship Management and Digital Transformation solutions — from advisory to implementation to training to support — on premises or on cloud. 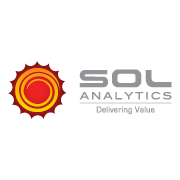 SOL Analytics’ mission is to help businesses take informed decisions through fact-based analysis and insights. 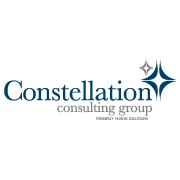 Our consulting solution focuses on analyzing research and transactional data, providing deeper understanding and developing strategic insights for businesses to improve their topline or optimize cost. 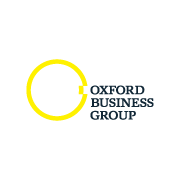 We have developed deep understanding in retail, hospitality, automotive, banking and healthcare industry in customer loyalty analytics, customer intelligence and operational intelligence. 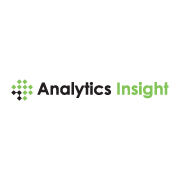 We use analytical solutions with the help of highly qualified team of research and analytics professionals using latest technology and tools. With our technology partners we have solutions to capture & analyze data through IoT & AI solution for asset tracking, consumer behavior etc. Our ‘Intelshop’ customer feedback solutions enables customers feedback management dynamically and provides valuable insights on customer perceptions & recommendations to our valuable clients. Our clients in the region include retail groups, hospitality organization, leisure and entertainment organization, government, healthcare and banking sector. 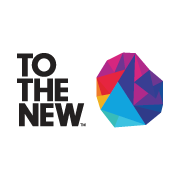 TO THE NEW is a premium digital technology company that provides end-to-end Product Engineering and Digital Transformation services to Fortune 500 companies and Silicon Valley startups across the globe. With a team of 1000+ passionate technologists, TO THE NEW has helped many enterprises to build their data management and analytics platforms using open source as well as cloud-based big data solutions. 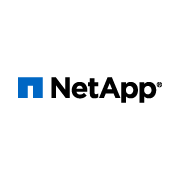 The company’s in-house data connectors, solution accelerators and big data integration capabilities enable businesses to make faster data-driven decisions leveraging data management, data warehouse implementation, real-time data integration, high volume data processing and data orchestration and reporting. 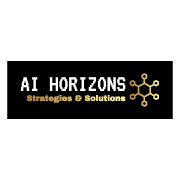 AI HORIZONS is a startup Saudi Arabian based sole proprietorship establishment, offering artificial intelligence (AI) roadmap strategy mapping, AI solutions enablement, and AI specialized training to regional clients across various business sectors. We start with your business need(s) first, then align them with applicable technologies from the landscape of AI solutions for enablement and integration. Our extended focused data management experience in large enterprises, and partnership with various highly active AI solutions providers brings you unmatched team of unique skilled experts in key areas of AI, combining business acuity and technology to achieve expansive influence across the value chain. The DAA is a not-for-profit, volunteer-powered association whose mission is to make analytics professionals more effective and valuable through professional development and community. Its vision is advancing the profession of using data to improve business. 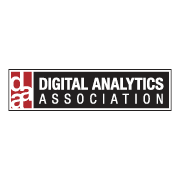 The DAA was founded as the Web Analytics Association in 2004. The organization has 5,000 members around the world, representing a broad spectrum of expertise. For more information about the DAA, or to become a member, visit the DAA website at www.digitalanalyticsassociation.org. 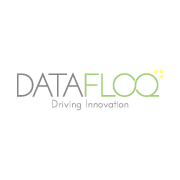 Datafloq offers information, insights and opportunities to drive innovation with big data, blockchain, artificial intelligence and other emerging technologies. It is the best place to find talent, receive leads or share your knowledge with millions of users. 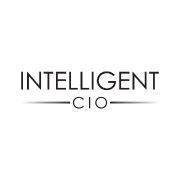 Intelligent CIO is a technology intelligence platform aimed at the enterprise IT sector to provide targeted updates and research driven data. As part of Lynchpin Media, this digital medium gives unparalleled advice to the regional community. Business Chief Middle East is an innovative digital publication offering business executives insight into the operations, innovations, financial strategies and other business practices of industry leaders throughout the Middle East. With a physical presence in many of the world's largest economies, Business Review Middle East is abreast of news and developments occurring around the clock. Our digital platform includes an interactive website and magazine experience that will bring you inside the world of Middle Eastern business, including comprehensive insight and analysis about the sector.